The Buccaneer is a destination beach and golf resort, family-owned and operated since 1947. 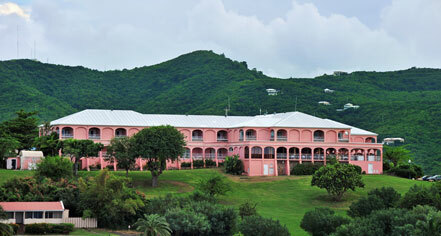 Family-run for generations, St. Croix's Buccaneer is the Caribbean's longest running resort. Both historic and modern, the resort blends old world charm with warm hospitality and the amenities expected by today's traveler. 138 spacious, elegant guestrooms are located throughout the property, from the hilltop main building Great House (where Alexander Hamilton lived as a child) to the ocean’s edge, all offering expansive terraces or balconies with sea and island views. In addition, the six-bedroom Buccaneer Beach House at Whistle Point provides privacy for small groups or families. All rooms are designed and furnished to be an intimate retreat, reflecting the timeless elegance of The Buccaneer. Each room features a private patio or balcony for maximum enjoyment of spectacular views and cooling breezes. The resort features an 18-hole golf course, eight tennis courts, three beaches, pool, water sports center, full service spa, fitness center, three restaurants, kids’ camp, banquet and meeting spaces, and shopping arcade with fine boutiques. Sea breezes and the fragrance of tropical flowers add to the Caribbean magic. Relax in cool and spacious luxury accommodations with breathtaking views. The Buccaneer is the perfect place for a romantic island vacation or island wedding. The Buccaneer, a member of Historic Hotels of America since 2007, dates back to 1653. Early guests, known as "continentals," often made their own drinks and helped rake the beach. Cancellation Policy: Please contact hotel for more information. Cribs and Pack-in-Plays: Cots, cribs, and highchairs are available free of charge. Deposit: Please contact hotel for more information. Occupancy Restrictions: Varies by room type. The largest unit available on-property can accommodate six (6) people. Pet Policy: Service animals allowed: Yes. Pets allowed: Small, pre-approved dogs are welcome. Shuttle Service: Courtesy vans are available to transport guests around The Buccaneer property when needed. The Buccaneer also offers a shuttle to downtown Christiansted Monday – Saturday. Fare for all shuttles is $8 per person round trip; children under 12 are 50% off. Transportation: Taxi service is available in evening. The Buccaneer is a destination beach and golf resort, family-owned and operated since 1947. 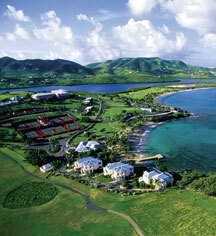 Family-run for generations, St. Croix's Buccaneer is the Caribbean's longest running resort. Both historic and modern, the resort blends old world charm with warm hospitality and the amenities expected by today's traveler. Learn more about the History of The Buccaneer .